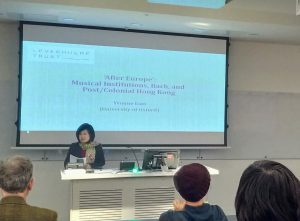 Will Finch and Phil Robinson join Jerome Roche Prize Winner, Dr Yvonne Liao before her keynote address at the BFE/RMA Research Students Conference in January to talk about intersectionality in music studies, post-European historical critique, and Japanese piano jazz! 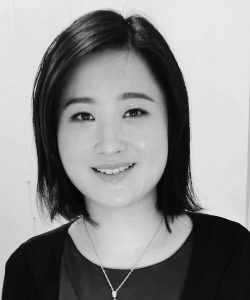 Dr Liao is a Leverhulme Early Career Fellow at the Faculty of Music, University of Oxford, an Early Career Fellow at The Oxford Research Centre in the Humanities (TORCH), and a Postdoctoral Associate in the Humanities at St Cross College, Oxford (Dr Liao’s Oxford profile can be found here). Your Prize-winning article takes readers on a compelling journey through the physical, metaphorical and sonic landscapes of Shanghai’s wartime Refugee Zone.1 Could you speak a little about the article and its main arguments? The article was part and parcel of a PhD project that was interested in ideas of musical sound, musical venues, and musical policies, in a fragmented administrative geography that was Shanghai of the 1930s and 1940s. The ‘value-add’ here, if you will, is that the city has tended to be historicised as a singularly ‘global’, and colonial (or semicolonial) metropolis. My aim, then, was to look at the different municipalities that were associated respectively with the Chinese, British, French, and later the Japanese, during the Second World War. By extension, my Musical Quarterly article asks, with ‘landscape’ as a metaphor, how and why Unterhaltungsmusik, i.e. Austro-German entertainment music, and European Jewish refugee cafes were able to thrive sonically and spatially in a restricted sector that was inhabited by ‘stateless’ refugees in Japanese-occupied Shanghai in the 1940s. Imperial Japan, as we know, was an ally with Nazi Germany and Fascist Italy – they signed a tripartite pact in 1940 – so this idea of Japanese-occupied Shanghai hosting the refugees who fled Nazi Europe was, in and of itself, very intriguing. The article’s argument, I suppose, is that ultimately, cruel confinement and sanctioned commerce are not mutually exclusive. Hopefully, such an insight can bring to light new perspectives on live music during times of war, and add another dimension to testimonial literature as an historical source, which such fields as holocaust studies and migration studies have (understandably) depended upon. That’s the gist of this article! Can you tell us what your advocacy of musicology as an intersectional practice means to you and what role it has to play in forging a dynamic discipline? To my mind, musicology gains and can only gain currency as an institutional practice – related issues of power notwithstanding, some of which we heard about in Laudan Nooshin’s very thought-provoking keynote this year. But, music studies in the context of higher education institutions is a reality, and I see intersectionality as an opportunity, if you like, to create multiple pockets of activity, not only between fields ranging from English and History to Business Studies and Heritage Management, for example, but also between the very epistemologies and canons of knowledge traditionally associated with individual disciplines within, and beyond the Humanities. So that’s how I position intersectionality in my own ongoing reflections. In that sense, I envision musicology as a collective hub; compared with history (as an institutional practice), I think musicology has, perhaps, that slight ‘edge’ for rehearsing the different differences around methodology and terminology for example, and for democratically exploring common ground amongst those differences. Intersectionality plays out, and has to play out institutionally; but then we ask ourselves: precisely because of that reality, how and in what ways can we make musicology a dynamic, collective hub for rehearsing differences, and (further) exploring common ground? What would be the most helpful piece of advice you’d give to students looking to continue into postdoctoral research? In my very humble capacity – I’m only in the second year of my first postdoc! – I’d say, keep an open mind with the available options because there is never a prescribed trajectory, and, apply globally where possible. I understand everybody has commitments depending on where you are, where your family are, but I think the idea of trying to look globally is helpful because there are some decent packages out there in different parts of the world to accommodate relocations. 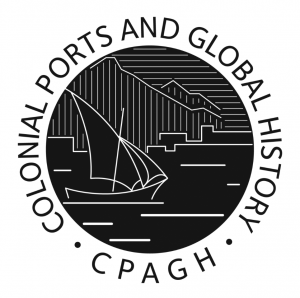 You recently co-founded a new interdisciplinary network called, Colonial Ports and Global History (@cpagh_TORCH). How did this network come to fruition and what are some of its aims? I have to acknowledge TORCH first and foremost, i.e. the Oxford Research Centre in the Humanities. They run an interdisciplinary research network scheme, and with the strength of global history across the disciplines at Oxford, and TORCH as a dynamic environment – an incubator of ideas and of public engagement – I just thought it opportune to apply for that funding. And to create a shared enterprise for engaging further with, and raising awareness about the very complex legacies of colonialism and migration across time and place. So – a plug(!) – we are organising an interdisciplinary conference this May, titled ‘Sensing Colonial Ports and Global History’. We have two keynote speakers, Leila Fawaz, a historian of the Middle East from Tufts University, and Benjamin Walton from Cambridge, whose specialism includes, but is not limited to the globalisation of opera in and beyond the nineteenth century. We’re also working with Oxford’s Pitt Rivers Museum, specifically in relation to their upcoming exhibition on the Calais ‘Jungle’. We’re planning a joint public engagement event this March, provisionally titled ‘Global Ports: Postcolonial Enclosures?’. We want to bring a more contemporary dimension and look at the ‘Jungle’, in the port city of Calais, as a simultaneously porous and closed space, in and through which migrants (from former colonies), objects, and cultures clash and intermingle. As regards the network’s aim, we hope to foster collaborative thinking about colonial ports and global history, with a view to reflecting anew, but also disentangling, potentially, from Anglocentric narratives of imperial global history. With that in mind, we want to question existing understandings of the ‘colonial port’ (which is quite a mouthful, right!?) – what is a colonial port? Doing so encourages us to distil this question from broader narratives of maritime and imperial history (without rejecting them), in order to ask some other questions about colonialism and global history. After your undergraduate studies you spent time working in the music record industry, with Naxos and Universal. What inspired your return to research and music studies? Since my A-levels I have been interested in a career in higher education research and teaching, but to me, timing was perhaps a more important consideration. When I completed my BA at Oxford, and an MA at SOAS in the early 2000s, it felt more sensible for me to first get some corporate experience (and try and save some money)! Hence the record and digital content industry; and I have to say that the skills there, in terms of administration, management and even professional social skills, have been really useful since my return, so to speak, to academia. So, I think academia has always loomed large in my plans, but for me it was just a question of timing, how and when I returned to it, and via which research topic. Throughout your musical journeys have there been any mentors or peers who have particularly inspired you? Quite a few! So, I’m going to name them chronologically – in the formative stages of my learning as a music academic, Emma Hornby and Stephen Darlington at Christ Church, Oxford, which was where I was at as an undergrad. Then, during my PhD at King’s College London, Andy Fry, my Lead Supervisor, and Emma Dillon. Post-PhD, Dan Grimley at Oxford, who was one of my PhD examiners, Olivia Bloechl at the University of Pittsburgh, and Roe-Min Kok at McGill University. Whilst they appeared at different stages of my training, they have all greatly stimulated my thinking, and my reflections on music history, historiography, and global historical critique. Peers, I have to name Erin Johnson-Williams, who is an Assistant Professor in Music at Durham, and Phil Burnett, currently a final-year PhD Candidate at Bristol, with whom I continue to collaborate in a (loosely-speaking) project centred around music and archives in the context of empire and colonialism. We have been working together for a couple of years now, putting in proposals for conferences, and preparing, at present, a special issue submission to The Musical Quarterly. So, yes, I will name these ‘unfortunate souls’! What music do you like to listen to or play in your, no doubt scant, spare time? Yes indeed – scant spare time! Currently on my headphones, I rather enjoy Japanese piano jazz and harpsichord music from the 18th century – I don’t know what that says about my state of mind! I worked in Hong Kong for nearly 10 years, barring a 2-year stay in New York, and was active as an amateur church organist, choral conductor and, alto (I know I don’t look or sound like one!). I am quite ashamed to say that the time that research has taken me, which I do enjoy very much, has meant that I haven’t been able to really keep pace with these roles, but certainly they are not out of the picture. Can you give us any glimpses into your forthcoming research? Dr Liao giving the Jerome Roche Prize keynote address at the 2019 BFE/RMA Research Students’ Conference. First is a brand-new essay for the Routledge volume, Music History and Cosmopolitanism, which is co-edited by Derek B. Scott, Anatasia Belina-Johnson, and Kaarina Kilpiö. Here, I’m interested in ‘cross-fertilising’ Sarah Collins and Dana Gooley’s idea of a critical musical cosmopolitanism’ – notably an attitudinal cosmopolitanism – with postcolonial archival theory to see what that can tell us, or not tell us, about the very sentiments and predicaments of foreign settlers in Shanghai – hence the title of my essay, ‘A Foreign Cosmopolitanism’. I do so with reference to an ad hoc municipal dance band in Shanghai in the 1930s, which was run by the British. I attempt to tease out the (varied) subjectivities of the British settler-administrators in relation to the institutional status quo, which, I understand, can seem an unwelcome approach, since people may gravitate toward such concerns as: ‘What were the Chinese doing? How did they respond?’ I found it compelling, nonetheless, to flip the question and look at the British, which quite a few historians have done elsewhere, but in terms of ‘sensing’ the ambiguity of shifting and non-shifting outlooks, insofar as municipal music and (socially) exclusive establishments are concerned. Second, is another brand-new essay for Bettina Varwig’s OUP volume Rethinking Bach, on which my keynote today is based. In this essay, I play out the post/colonial dichotomy in a post-European historical critique, tracing Bach as a cultural symbol in such musical institutions as an Anglican cathedral and a city hall, in and across British- and Chinese-governed Hong Kong, with a timeline extending loosely from the 1910s to the 2010s. Hong Kong may seem a minuscule site of analysis, but that, precisely, enables me to broach some larger questions what a post-European critique, and the complex, yet salient idea of ‘Europe’ may mean for music scholars; and what a global critique may mean, by extension. These questions, I hope, will find resonance with what the conference attendees here are doing in their research, and in their creative practice. 1 Liao, Y. ‘“Die gute Unterhaltungsmusik”: Landscape, Refugee Cafés, and Sounds of “Little Vienna” in Wartime Shanghai.’ The Musical Quarterly 98/4 (2016): 350–94.